"Please try to fix him up...and call my mom when you are done." A 10-year-old girl named Hannah was playing outside with a friend on September 19 when she noticed a baby pigeon who had fallen from the rafters of a shed. The little pigeon was all alone and clearly injured — and Hannah immediately knew that she had to help him. Hannah carefully scooped up the pigeon and brought him inside to show her mom. Her mom agreed that the pigeon was too young and hurt to survive on his own, so Hannah gave him a bath to clean him up and made plans to find him help the next day. “The little guy was hurt and my daughter made me promise to bring him to the vet,” Christine Giersdorf, Hannah’s mom, told The Dodo. Giersdorf dropped the pigeon off at the vet the next day, and he was quickly transferred to Wildwoods Rehab, a rehabilitation center for wild animals in Duluth, Minnesota. 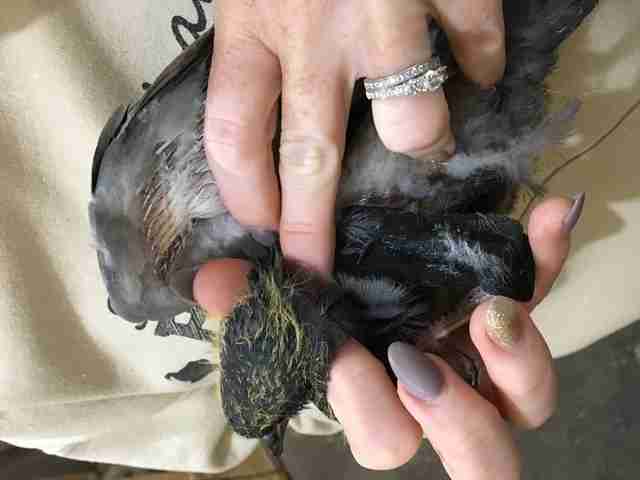 When staffers at the rehab admitted the pigeon into their care, they noticed he was accompanied by a detailed note — written by the concerned little girl who had saved his life in the first place. 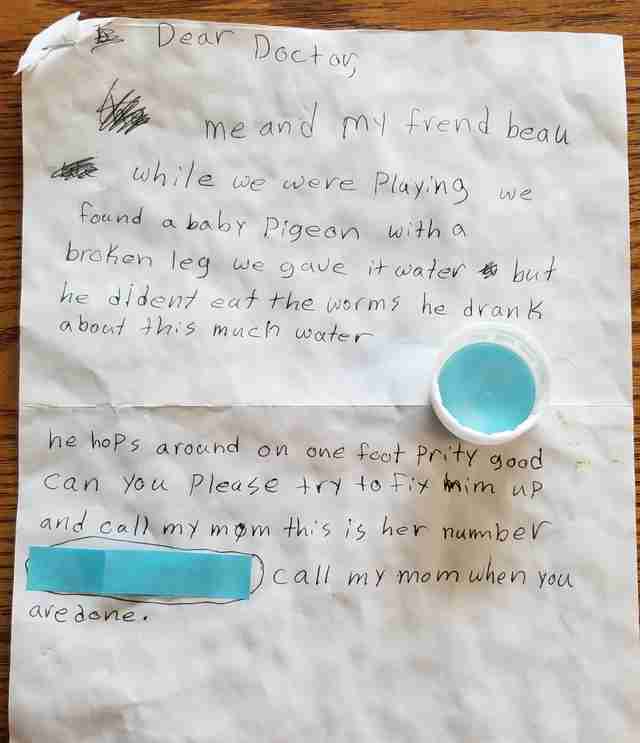 In her note, Hannah explained how she and her friend had found the pigeon, and how they had tried to give him some worms but he wasn’t interested in them. She even included a water bottle cap with the letter to show how much water the bird had drunk. She then instructed whoever was helping the bird to contact her mom when they were done, so that she could make sure he was doing OK.
Everyone was touched by how much Hannah cared about the pigeon, and is so grateful to her and her friend for noticing him and doing the right thing. 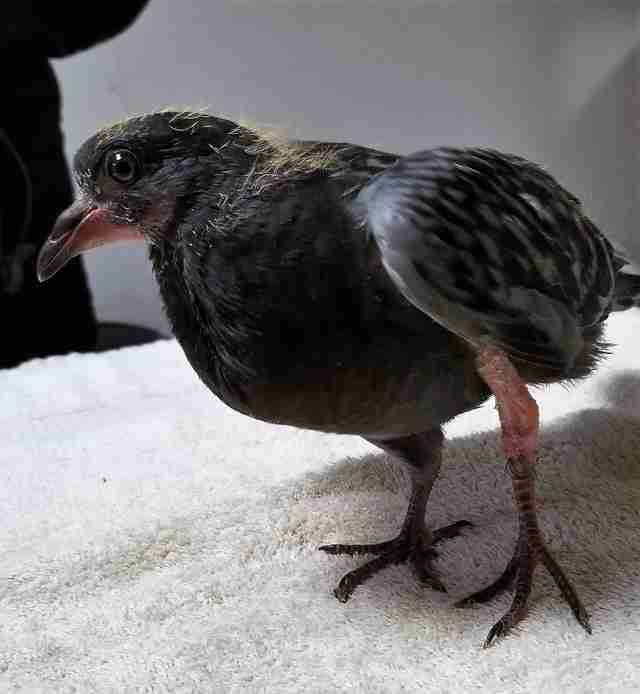 Staffers at the rehab determined that the pigeon had a fractured leg, and were able to give him the care he so desperately needed. 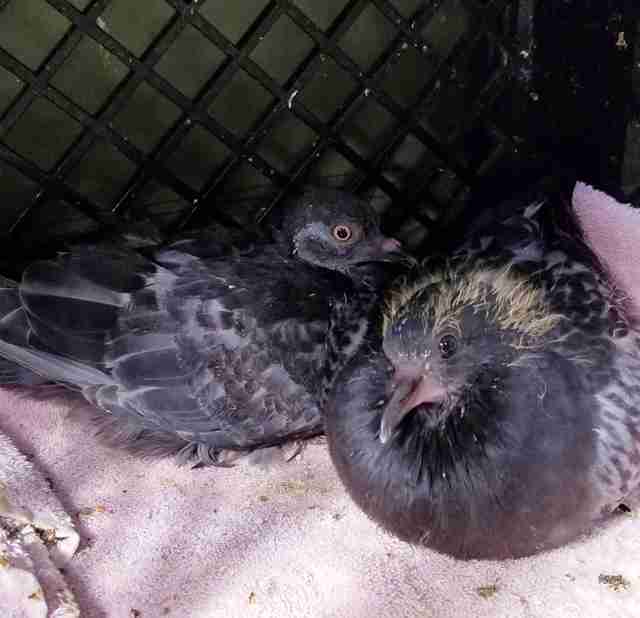 Since arriving at Wildwoods, the pigeon has bonded with another young pigeon at the rehab, and once they are both fully grown they will be released back into the wild together. Everyone is thrilled that the pigeon is doing so well — especially his rescuer, Hannah. To help other animals in need, you can donate to Wildwoods Rehab.